Putting the white veneer panels on the ends of the cabinets, plus much more tiling done. Tiling under the stove looking amazing! New cabinet in over the fridge. 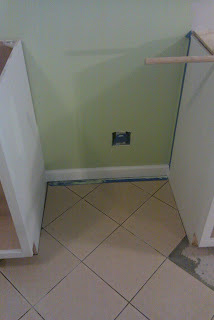 It'll have one more trim piece on the bottom that's not shown. 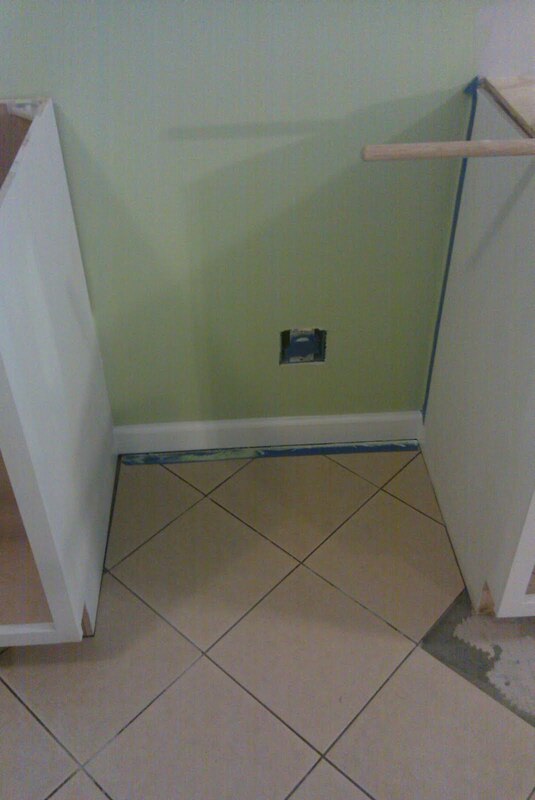 All of the walls are painted, and Chris painted the crown molding up there so we can put in the fridge as soon as he's grouted and sealed the tile back there. 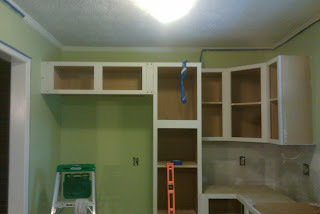 Most of the cabinets have had their first of two coats of white semi-gloss paint, too. 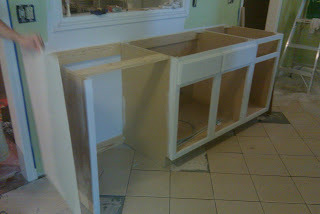 The countertops are going in too, but Chris will have to post pics of those because I haven't been to the house since Sunday.